Revolutionary Martyrs' Cemetery North Korea - The Revolutionary Martyrs' Cemetery is located in the outskirts of Pyongyang. It hosts busts of national heroes in the DPRK who fought for the independence of Korea throughout different times of history. 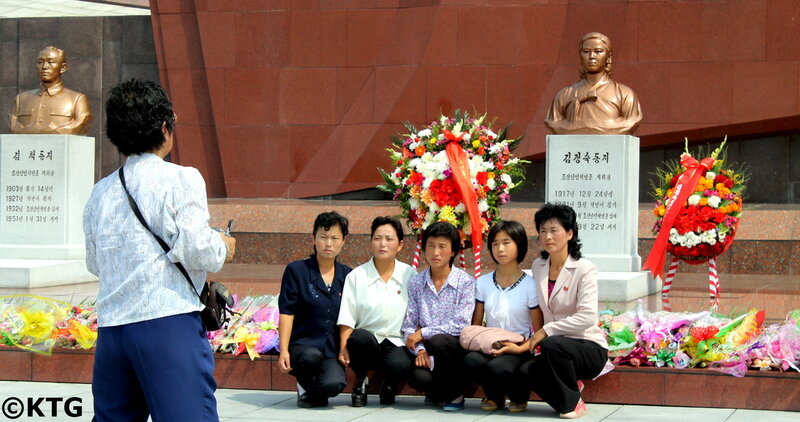 Family pose by the bust of DPRK national heroine Kim Jong Suk. Mother of General Kim Jong Il, she is referred to as Mother Kim Jong Suk in the DPRK. The top line of martyrs in the cemetery are those of those most loyal to President Kim Il Sung (despite having passed away in 1994, President Kim Il Sung is officially the Eternal President of the DPRK. Situated on the top of Jujak Hill of Mt. 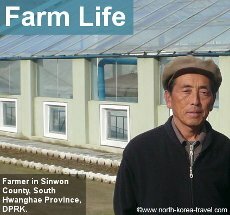 Taesong, it has views of the entire capital of North Korea. Visitors are expected to bow in front of several of the bronze busts which include one dedicated to Kim Jong Suk, referred to as Mother Kim Jong Suk. Kim Jong Suk was wife of Kim Il Sung and mother of Kim Jong Il and known in North Korea for her heroic actions against the Japanese during the Japanese occupation of Korea. 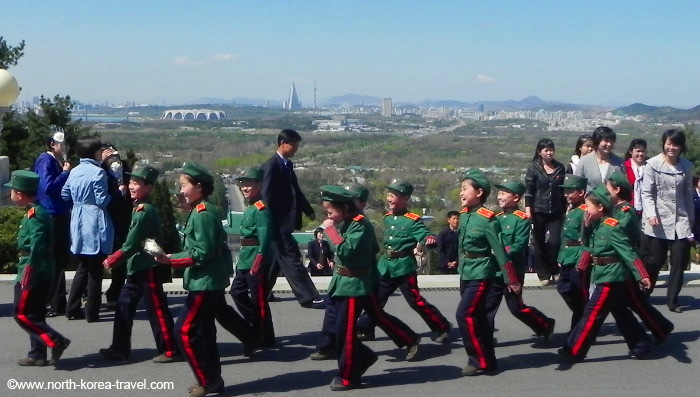 There are songs dedicated to Kim Jong Suk, sung by children at an early age in kindergarten. 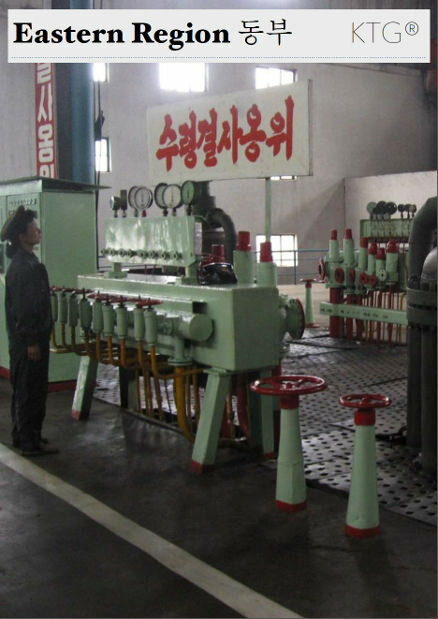 Kim Jong Suk's birthday is a national holiday and is celebrated on December 24th. Despite the cold weather it is possible to witness Mass Dances by the Monuments to the Party Foundation in Pyongyang, where thousands of North Korean universty students gather and dance in a synchronised manner. Children laughing at the sight of a foreigner taking a picture of them. 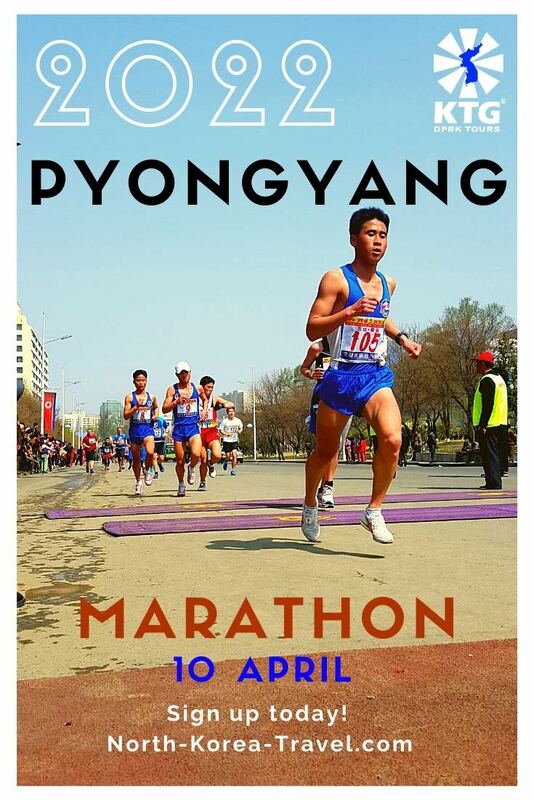 Notice the huge Ryugyong Hotel in the background. 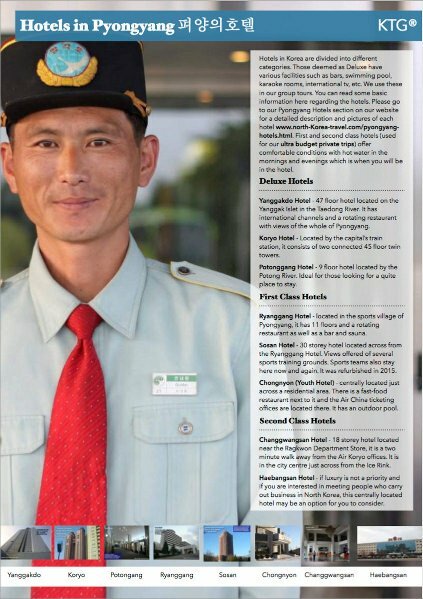 Encountering foreigners in North Korea is not common. Children wearing these green and navy blue uniforms are children of military personnel who have passed away. 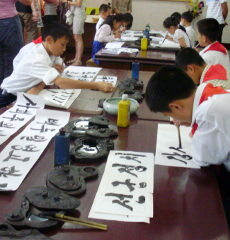 Many of them move into military ranks in the future and their schooling is seen as amongst the best in North Korea. The Revolutionary Martyr's Cemetery was finished in 1975 (Juche 64 in the DPRK calendar) and then renewed in 1985 (Juche 74). Don't worry! Despite the fact that there are over 500 steps to reach the top part of the hill we always have the coach going directly there so as to save the effort. However, if keen on walking all the way up, by all means please do so! Please click here to go from our Revolutionary Martyrs' Cemetery North Korea section to see what other places you will be able to visit while on one of our North Korea Tours.